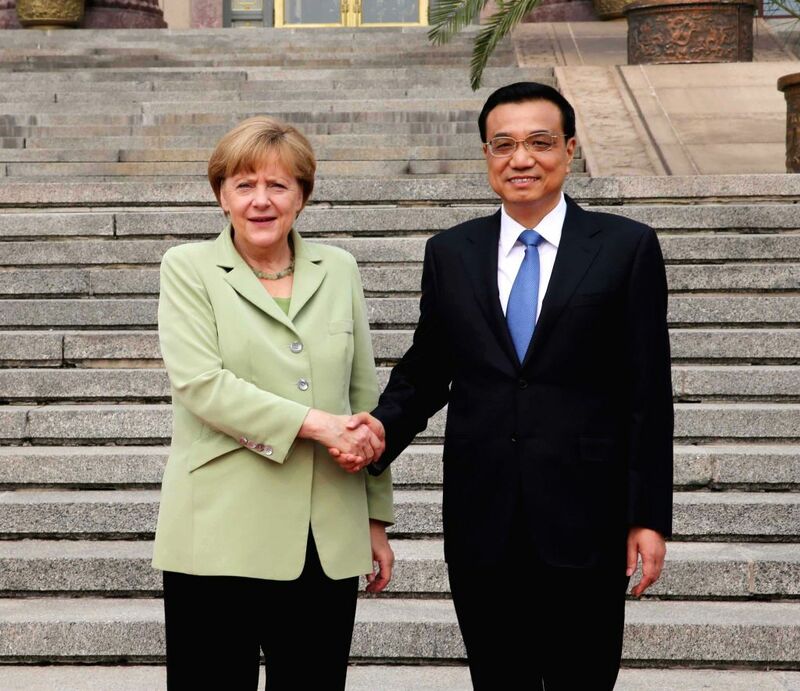 BEIJING, July 7, 2014 - Chinese Premier Li Keqiang (R) shakes hands with German Chancellor Angela Merkel in Beijing, capital of China, July 7, 2014. Li and Merkel held talks later on Monday. 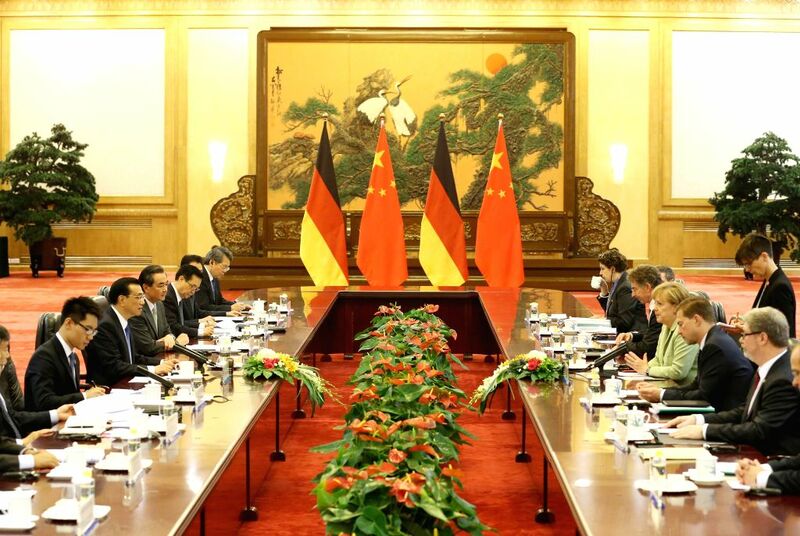 Chinese Premier Li Keqiang (2nd L) holds talks with German Chancellor Angela Merkel (3rd R, front) in Beijing, capital of China, July 7, 2014. 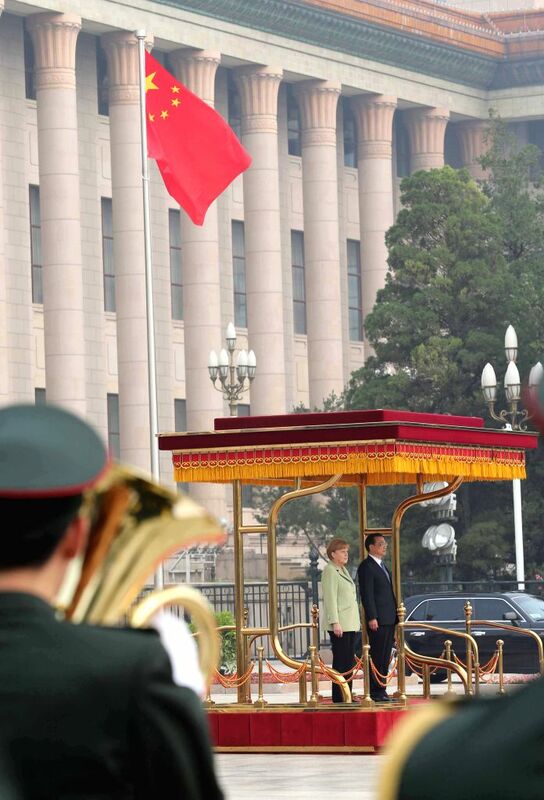 Chinese Premier Li Keqiang holds a welcoming ceremony for German Chancellor Angela Merkel in Beijing, capital of China, July 7, 2014.